Sample Type: Extracellular Vesicles in cell culture supernatant or EVs separated/isolated from other biofluids by serial centrifugation, gradient flotation, size exclusion chromatography, or other suitable method. Species: Human. Although most reagents are not species specific, certain controls restrict the use of this kit to human samples. Limits of Detection: vFC™ is suitable for the detection of vesicles down to 70nm. By following our staining protocols and using vTag™ monoclonal antibodies, surface antigen detection down to 25 molecules per vesicle is possible. LOD is instrument specific. See product manual for additional information. Sample Storage: Care should be taken to keep assay and storage conditions consistent and report all procedures. If vesicles cannot be analyzed fresh, we recommend storing at -80°C and aliquoting to avoid unnecessary freeze/thaw cycles. Kit Storage: CAUTION! Multiple storage temperatures required. See product manual for instructions. 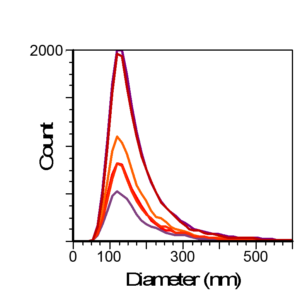 vFC™ assay (#CBS4) is intended for the analysis of vesicles from cell culture in supernatant or buffer. It is also useful for analyzing vesicles separated from biofluids. It can detect vesicles down to 70nm on currently available instrumentation. Limit of detection of surface markers per vesicle is approximately 25-30 molecules (depending on the vTag™ antibody used). We have characterized limits for several instruments. Please contact us for instrument specific sensitivity assessments. Why am I not seeing events from the Lipo100™ control sample? There are several possible reasons for this issue. First, ensure that the instrument you’re using is suitable for vFC™. Next, make sure that the instrument has been properly set up and qualified. For instrument setup procedures see the instrument setup and configuration document under the datasheets and documentation tab. Finally, double check that samples are being properly diluted. Pay careful attention to details such as the plate being used for dilutions as certain plastics may bind vesicle and significantly impact EV counts. For additional support, chat with us by clicking on the icon at the bottom right of the window. Why am I seeing high background events? High number of background events can arise from multiple sources. 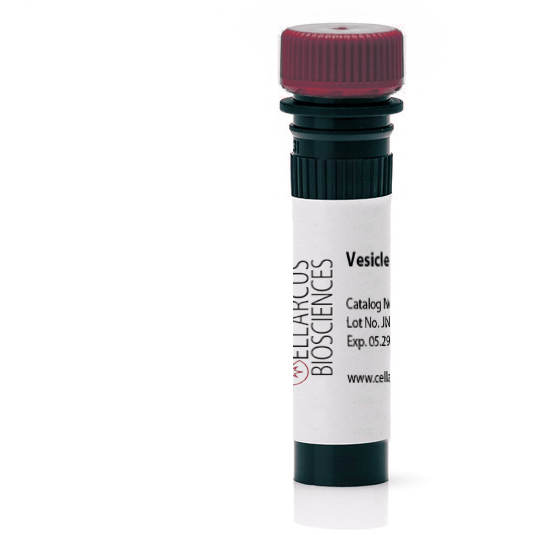 Ensure proper dilution of samples and only run vesicles that are appropriate for this kit. Also, rarely carryover from samples may lead to background which is especially noticeable in blank samples. This is most commonly observed after running small beads. Run a daily clean cycle prior to continuing analysis. If issues continue, run beads diluted 1:10 in cleaning solution in the future. Other approaches to measuring extracellular vesicle size distribution and concentration are slow and tedious. You can run a few samples a day. The vFC™ assay is designed for flow cytometers with 96 well plate loaders. One plate will hold 80 samples in addition to controls and calibrators and is run at standard flow rates. Multiple plates can be run in a day on a single instrument. Do we even need to say that vesicle specificity is necessary? Unfortunately, existing assays either indiscriminately measure particles (including aggregates, debris, and other sources of error) or attempt specificity through use of non-universal markers. vFC™ uses an optimized lipid specific fluorescent label and data processing to ensure vesicle specific measurements. vFC™ incorporates standards and EV reference samples characterized by multiple orthogonal methods into a kit to ensure a standardized approach to EV measurement. Controls are included in every vFC™ run to qualify results by instrument performance and normalize results for accurate reporting of vesicle size, concentration, and surface marker prevalence and abundance. The Beckman Coulter Cytoflex was the first of the new generation of flow cytometers with suitable sensitivity to detect vesicles by vFC™. The instrument offers more sensitive detection of surface cargo if the yellow laser is activated (which more efficiently excited PE). 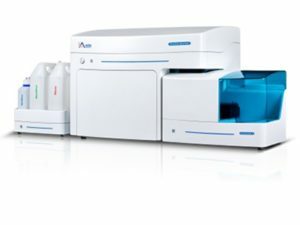 The Novocyte Quanteon™ is a newer instrument that uses the most sensitive silicon photomultiplier (SiPM) detector technology on the market to improve fluorescence sensitivity. Our characterization of this instrument is ongoing. 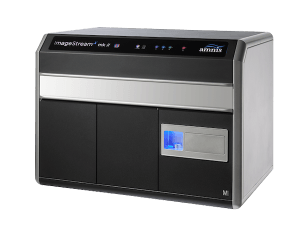 The Amnis® ImageStream™ is an imaging cytometer with sensitive optics capable of detecting fluorescence from individual vesicles stained using the vFC™ assay kit. The ImageStream™ has a few differences from conventional flow cytometers that require modifications to the vFC™ protocol. Please refer to the kit instructions for details. Characterizing the heterogeneity of vesicles is critical to understanding their biological role. 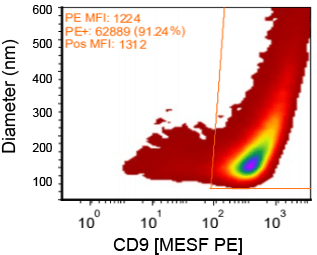 Flow cytometry is the gold standard technology for understanding the heterogeneity of cells and could be incredibly useful for characterizing diverse samples of vesicles except, cells are not vesicles. 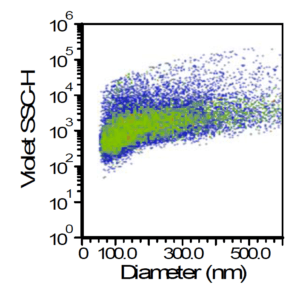 Vesicle Flow Cytometry (vFC™) is an assay kit composed of a lipid specific fluorescent probe, synthetic and natural calibrators and controls, and optimized protocols and analysis templates. 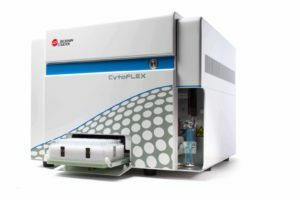 It is designed to provide a standardized, robust method for EV characterization. vFC™ solves the issues associated with characterizing small lipid particles.